By the help of UVdesk - Opencart Free Helpdesk Ticket System your registered user can create a support ticket from the front-end and the admin and its assigned agents can manage all the tickets either from the Opencart back-end or from the UVdesk Dashboard. 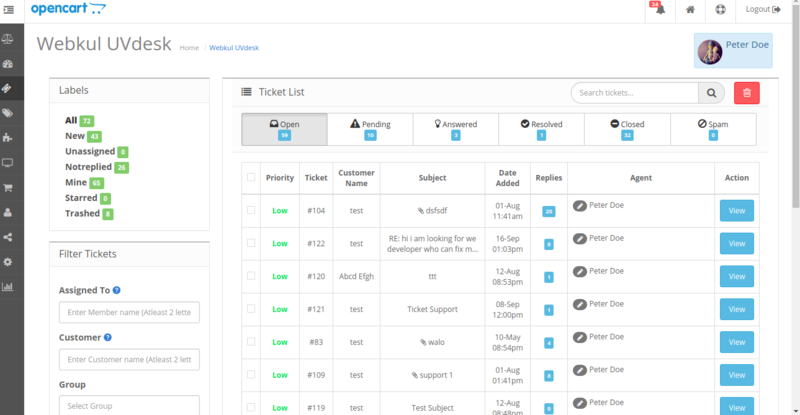 All the information about the tickets is synced between Opencart store and UVdesk Dashboard. The tickets are categorized using various labels and statuses. On the Dashboard, you will see "APP CENTRE" menu and under it, you will find "OpenCart"
You will see four tabs- Overview, Documentation & Configure (after app installation). Click on that button and OpenCart will get installed. Alternately, for uninstalling the app, go to OpenCart "Overview" section then click on Uninstall button. 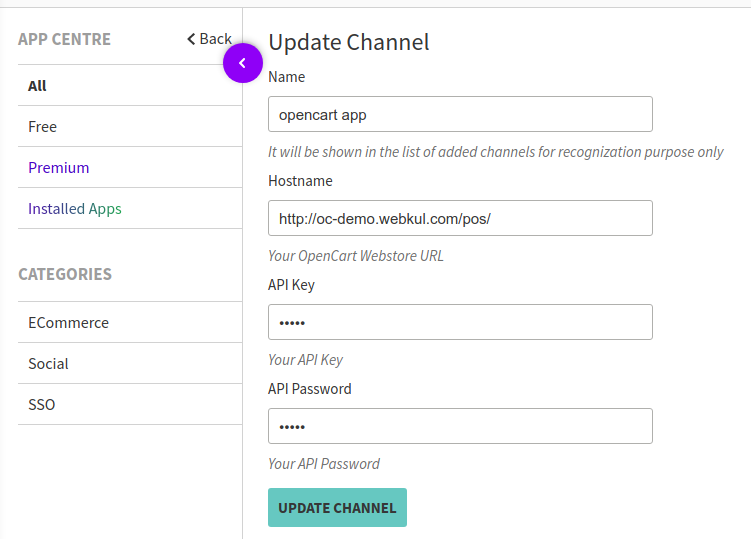 Once logged in successfully, go to Modules -> Opencart UVdesk Connector API. After that, all the information about the tickets is automatically synchronized between your Opencart store and your UVdesk Dashboard. Every ticket has a unique ticket number assigned to it which helps in managing them. Information such as ticket status, ticket priority, ticket labels, the number of replies etc can also be seen by the admin and agents.